Can Viks do Sportsbook Too? Do you have the Viking in you? This is Viking’s casino approach when they are communicating with the end user, a casino, and a sports player. Being a fan of Vikings, we like this Halls of Valhalla analogy that they are trying to show. 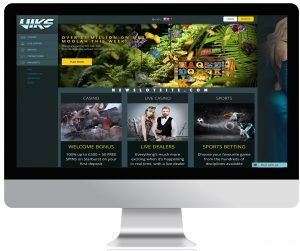 It features not only a casino but sportsbook that follows shortly after original website’s debut in 2016. The layout and interface feel tough, background images that could be seen on the TV series Vikings. Otherwise, it seems like a fusion between our high technology mix and the Vikings. Perhaps just what a slot site with a Viking theme is and should be. Where is Ragnar? Casino bonus of 100% Bonus up to £500 and 50 free spins on all-time favorite slots, Starburst. All this on your first deposit! The only thing you have to do is to use the bonus code: V5000S. Bonus Casino’s total amount of the initial deposit is a total of £500 with 100% bonus match. Furthermore, Viks will also give out 50 free spins on our favorite Starburst. The minimum deposit is £10 if bonus code V5000S is used. The bonus code for the first deposit bonus is: V5000S and the wagering requirement is thirty times the money which is lower than the majority of competitors, and we must say an effective way to attract new players. With a low turnover requirements, more than 50% are converted to real money! With a deposit bonus of 100% it has a so-called positive expectancy, means therefore that, the value of the bonus and statistically speaking, you should win money using the first deposit bonus. Pretty good right? Viking slots site can be played on all possible operating systems and devices. Whether you play on a Macbook, PC, smartphone or tablet games is loading fast and easy to find. A positive surprise is the large selection of video poker. A total of 30 different slots with video poker games from different manufacturers are a rare commodity these days, but Viks casino is going the extra mile here. Kudos! As Ragnar in the Vikings is not the most talented warrior, he can adapt and do a real impact on the battlefield. So is Viks in this case when it comes to their Sportsbook. Sure, most of the customers come to play casino slots, but that has probably to do with the fact that is what first meets the new customer – the big casino bonus. After the bonus is claimed, it is warmly recommended to test their Sportsbook. With a cooperation with EveryMatrix, it is possible to bet on several sports and in the lower divisions. You can play on everything from cricket to E-sport and explore the low divisions in football. Viks accept a variety of payment solutions. As a customer, you can be sure to get the service you deserve. If you want to get in touch, they have an English speaking support which you also can reach by telephone: +44 20 3389 6555. For payment solutions listed all the options together with the minimum and maximum in and withdrawals. A total of 15 different payment methods offered and including Visa Electron that you rarely find in other casinos. Minimum deposit for most of the options is 10 euros and the maximum withdrawal entire €10 000 in the same transaction.